As always, Nigella's passion for cooking and eating is infectious and her recipe notes are like a chat with a friend. which, together with her successful TV series (on BBC 2, Channel 4, as well as the American Food Network ) have made hers a household name around the world. 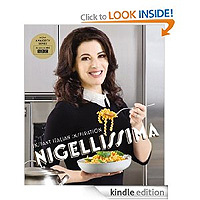 I am an unashamed Nigella fan; my desert island cookery book would be "How To Eat"! However, I was sceptical about whether this book would inspire. I love Italian cookery but did I really need a new Italian cookery book? The answer is a resounding yes. Let's get straight to the food. I love the simplicity of Yellow Spaghetti, beautifully golden due to saffron, marsala and cream. Prawn Pasta Rosa uses Rosato Vermouth to provide a delicate pink blush and sweetness - yes, we will all be buying it this weekend! I am bowled over by the thought of broccoli with lemon and parmesan. Why did I never think of that?! As always, Nigella's passion for cooking and eating is infectious and her recipe notes are like a chat with a friend. 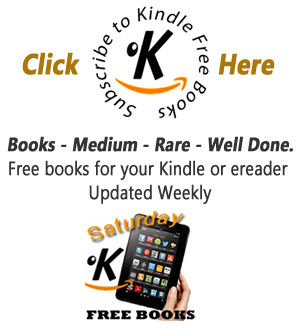 There are recipes for confident and less experienced cooks. The food photography is simple but elegant. My friend and I decided to have a bit of an experimental cooking fest over the weekend and tried out a few of the recipes with her family. I had been cooking from it as soon as my preordered copy arrived. The pancakes with marscapone and ricotta served with rum-steeped strawberries were delicious and light and one of the hits of the weekend, the chocolate olive oil cake was my favourite - rich and dense and somehow not sickly. The puddings are a triumph - the almond and cinnamon cake was also delicious. The monkfish wrapped in rosemary, lemon and Parma ham was tasty and an excellent main course before the pudding glut. I have only tried one pasta dish to date - the yellow spaghetti, which was predictably heart warming - yet I suspect that I will cook a few of these on the autumn nights ahead.